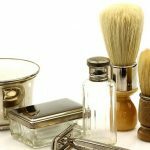 Are you looking for a brush to help you with your shaving? Need something to make all those hairs smooth and easy to manage? 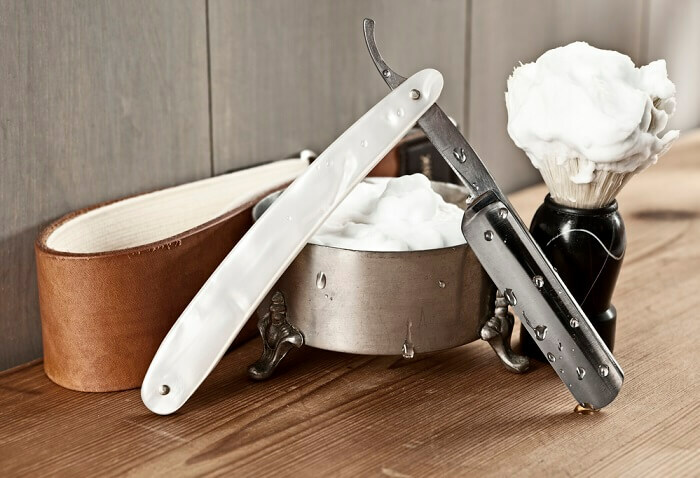 If so, you may want to incorporate a badger fur brush into your shaving routine. But why badger hair? Isn’t that some creature that lives in a burrow? Yes, it really is, and their fur creates superior brushes for exfoliating the skin, creating lather, and applying shaving cream, surprisingly enough. The texture of the hair is very soft and it holds water well to ensure your skin stays warm and moisturized (nothing is worse than trying to shave dry skin). Before beginning your hunt, consider a few factors about these brushes to decide which will work best for you. Badger fur comes in pure, best, super, and silvertip varieties, listed from coarsest to softest. Coarse bristles are better for exfoliating and lathering, and the finer the gauge of hair, the more luxurious the brush feels on your face. Super and silvertip are best for comfort, while pure is most effective at getting your skin clean. Although extremely high-quality brushes can run you hundreds of dollars, most average brushes cost around $40. This brush is made by GFT, a well-known company that uses pure badger hairs, nothing else, to make their brushes. It makes a rich lather and exfoliates well. The brush is easy to rinse and clean because the hairs are stiffer. 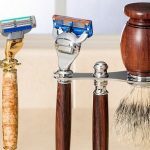 It can retain a good amount of moisture while you’re shaving. At around $15, it’s one of the lowest-priced options available. The brush pricks at the start, but after a few uses it gets soft and smooth. It tends to shed the more you use it. 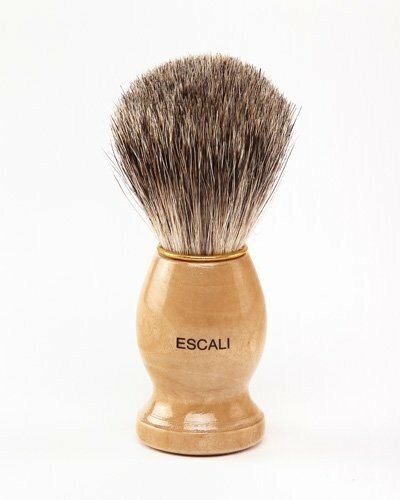 For such an inexpensive product, the Escali brush is worth purchasing. If you don’t plan to use it as much, this definitely keeps the cost low, but if you plan to work with it every day, you may need to replace it often. 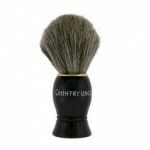 This brush is also made only using badger hairs to provide a good lather and retain moistness for a good shave. It’s very dense for added exfoliation. The product is soft on your skin. It has just the right amount of hardness to retain water, and it gives a good spread and lather of cream. This brush is so dense that it’s difficult to clean. It also sheds. 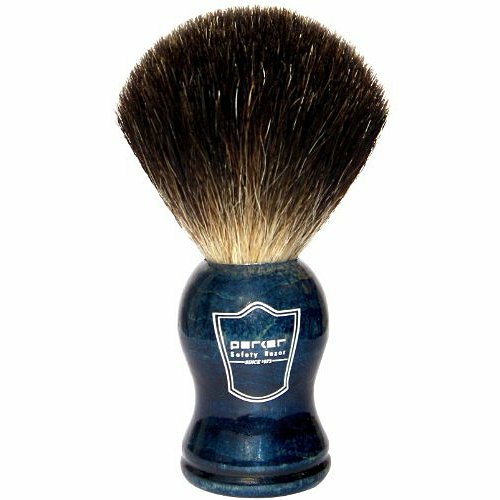 This brush is priced similarly to its Escali counterpart and is of similar quality when it comes to shedding. Choose this one if you don’t mind a rougher feeling, but go with the Escali if you have sensitive skin and are looking for an entry-level brush. The product is an ideal-size brush for travel. It’s completely handmade and comes with its own drip stand to facilitate drying. This badger brush is light and small, but it still gets the job done. It holds the right amount of water and the hairs are softer, so they won’t rough up your face as much. The brush has a shorter lifespan than others do and arrives with an animal smell that can be hard to get rid of. It’s also smaller than many others, so it’s difficult to hold if you have larger hands. This brush is a great choice if you don’t want something too large or want to be able to bring it with you on trips. It’s similar in quality to the Escali and SimplyBeautiful brushes, so if you don’t want to pay twice as much just to get a drip stand, you’re better off choosing one of those options. Parker’s brush has a great density of bristles and looks nice sitting out on your sink. A stand for keeping and drying the brush is also included. 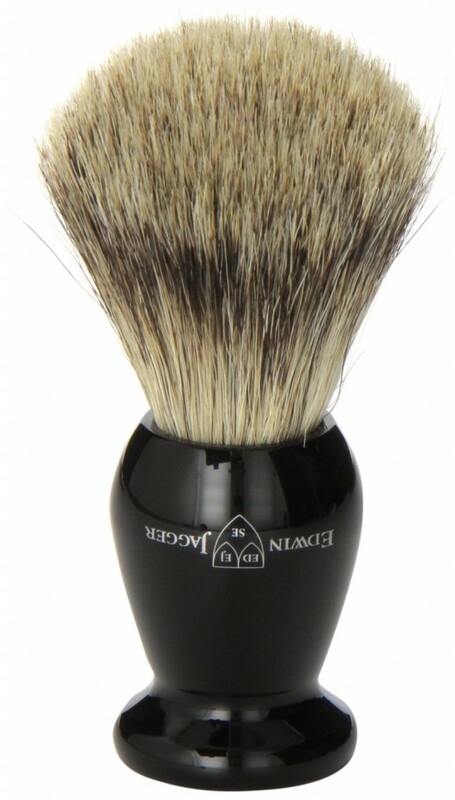 The brush is made completely out of black badger hairs that have a very high loft for added softness. It’s very rare to see this brush shed even one hair. It’s inexpensive (around $25), lathers well, and doesn’t have the gamey odor that some brushes can’t seem to get rid of. 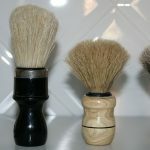 The brush is a little prickly at the start and is not purely made out of badger hair, so it doesn’t hold water as much as other badger hair brushes do. This brush is denser than the aforementioned options, so you’ll prefer it if you like as much lather as possible. 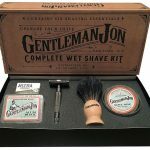 It’s also cheaper than the Edwin Jagger model but still comes with a stand, so it makes a better choice if you’re not concerned about brand names. This brush is 100 percent best badger hair with medium-density bristles. At around $20 in cost, it’s an economical option. 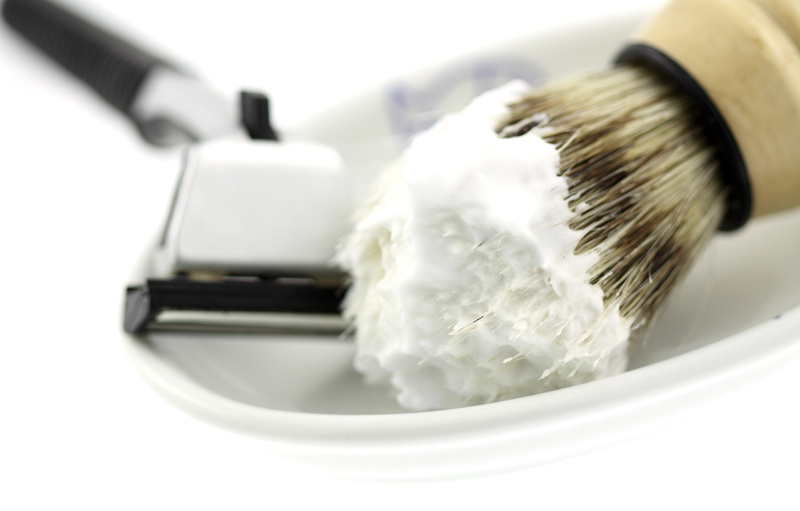 The brush is smooth to make good lather and spread it quickly. The wood handle is rounder than other models, so it’s easier to grip. Like others, this brush sheds hair rapidly if you don’t ensure it’s dry after every use. Although the handle is easy to hold, it’s also smaller and may be harder to maneuver. 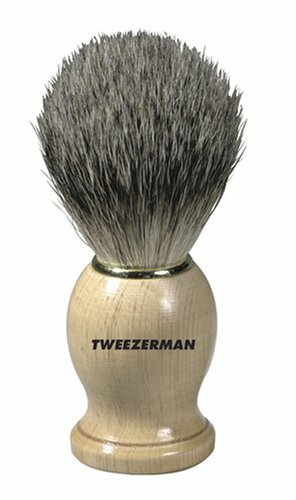 Like the Edwin Jagger, this brush is more suitable for traveling. It’s also less expensive for relatively similar quality. While it’s not the best brush you can buy, it’s a wise choice if you’re a beginner or need something portable to keep in your gym bag or at the office. 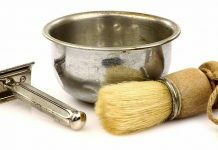 These are the some of the most widely available and enjoyed badger brushes on the market. They all retain a good amount of water but always have to be dried upside down to avoid losing their bristles. 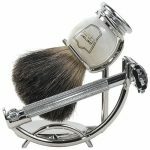 These brushes are all soft as well, but the Escali 100% Pure Badger Shaving Brush by GFT is the best choice. It is not expensive, it lasts long, and it is easy to clean. 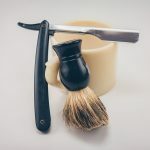 The Parker Safety Razor 100% Black Badger Bristle Shaving Brush is a similar quality, and while it sheds more than the Escali, it drops relatively few hairs compared to other brands. 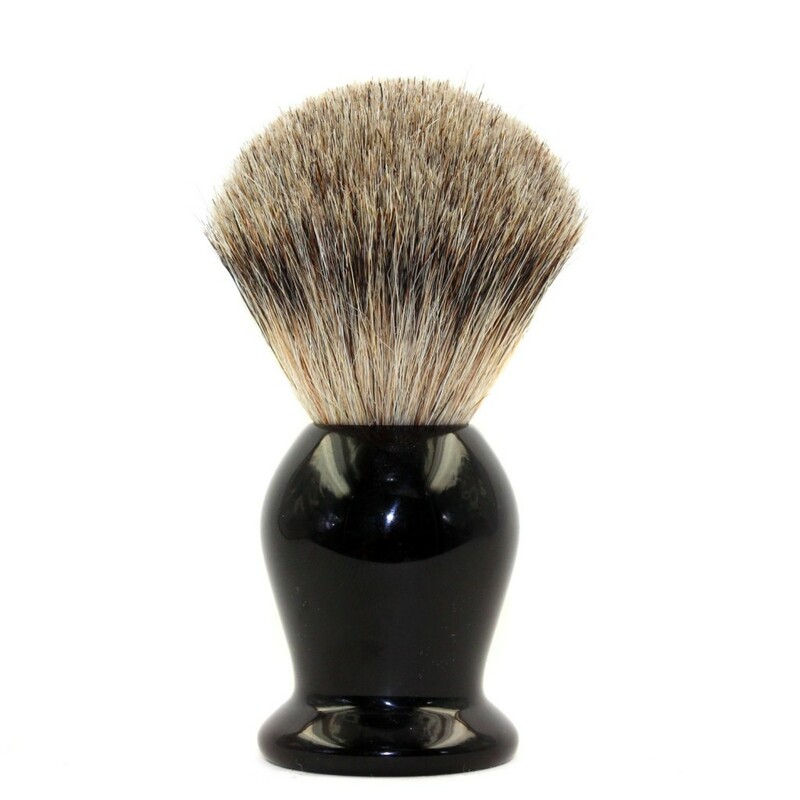 Last, the SimplyBeautiful Pure Badger Shaving Brush is a nice choice when you need a truly dense brush. 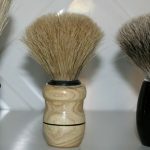 Keep in mind that these brushes should be hung to dry; order the fan-favorite Art of Shaving black brush stand for an economical way (only $10) to ensure a long life for your brush. 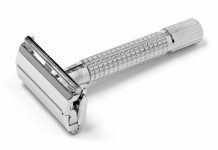 Previous articleDisposable Straight Razors: Which Is Best for You? 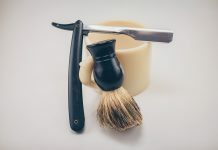 Next articleDouble-Edge Safety Razors and You: Are They Right for Your Routine?